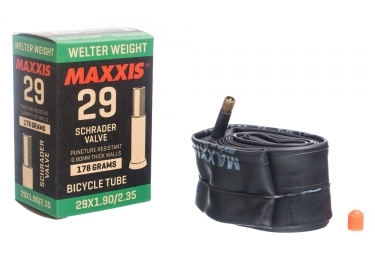 The choice of your inner tubes for your MTB wheels is paramount. For the 29 inches there are of course inner tubes adapted to the "big wheels" format. The latex is lighter, for example, but will be more brittle at punctures, while a reinforced inner tube will resist punctures. Like any inner tube, if you don' use your MTB for a while, consider monitoring your tyre pressure before going out.